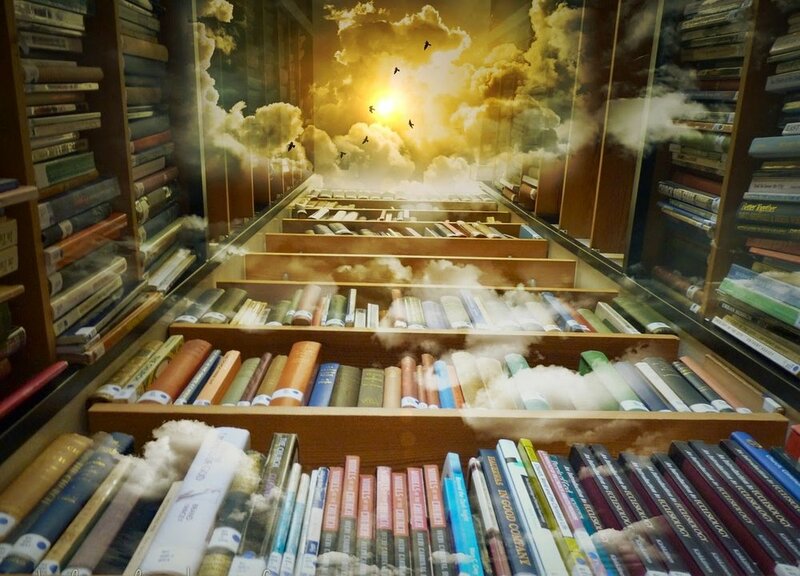 The Akashic Records are the past, present and future knowledge of all things. It is the recording of the soul’s journey since inception, as well as the possibilities of its unfoldment in the future. Referred to in virtually every ancient spiritual teaching, the Akashic Records are known in the Bible as “The Book of Life”. At the time we make the decision to experience life as an independent soul, there is a field of energy created to record every thought, word, emotion, and action we generate. That field of energy is the Akashic Records. By opening the Akashic Records with a Sacred Prayer, we align ourselves to the vibration of the Akashic Records and the one whose Records are being opened. The prayer works with energetic vibration to "key in" to the specific "name" and carries with it God's protection through the Masters, Teachers and Loved Ones. The information in the Akashic Records helps us bring our past, present and future into the "now". By accessing the Akashic Records, we can identify and release anything that we have created, that has become a block to our present realization of our oneness with God. The healing energy of the Akashic Records allows us the freedom to choose grace in all things, therefore, overriding any illusions we have created that causes us to believe we are separate from God/Spirit/Source. From the very beginning of stepping into the healing arts, I began to uncover memories from other lifetimes. I had my first past life regression in 2006 in NYC where I started to peel the layers of one lifetime that seemed to be pretty traumatic. The souls from that lifetime were showing up in this lifetime to heal that karma and I needed assistance. In 2008, I had a few more regressions to heal some other lifetimes that were very traumatic (i.e. a lifetime where I was drowned as a witch in Salem). Before I started to peel the layers, I felt so bogged down emotionally that there didn’t seem to be any other explanation for my emotional heaviness except that it might be rooted in past lives. I was coming in contact with these other souls and intuitively figuring out what our karmic connection was, but I knew I needed help moving the energy and clearing the pattern. I was referred to a woman who worked in the Akashic Records and after my first session with her, I received some much needed clarity and healing from the process, and discovered that I had been working in my own records intuitively all my life, just didn’t know what it was I was accessing. She told me that I had a great ability to do this well and that it would behoove me to learn how to open and access my own akashic records and if I felt called to, to learn how to facilitate this for others. In late 2010, I learned how to open my own records and worked in them for over a year before I learned how to open the records of other people. In the Akashic Records, "past," "present," and "future," become now. The concept of time shifts from a linear perspective to nonlinear---all realities in all times and places, realms and dimensions run parallel or simultaneously with one another. Time in essence, ceases to exist. When looking into "past lives," we begin to deal with this new way of looking at time, and often are looking at the present moment and how certain circumstances or situations are holding roots and energy in other places in space/time congruent with now. When going into the records to find information on any other lifetime, we enter the field of multidimensionality and timelessness. Our souls are so vast and expansive that we have likely had lives beyond human form. If you ever have had the feeling, "I don't think that I'm from here," it is likely that you have had experiences in other realms and dimensions that are very different than earthly life. In the same vein, having a strong connection to a place or period in time points to potentially having had a soul experience in that place or time. In my experience of uncovering past lives, I have found that what is happening in my life currently has a root in another place, and the energy, emotion, trauma is compounded by the other roots in space/time. For example: You meet someone for the "first time" but somehow you feel you already know them and have a strong and visceral reaction to this meeting. There's no logic to your your feelings because you just met, yet, there is an inexplicable knowing in the heart. It is likely that you and this person's souls have crossed paths before, and the feelings you are experiencing are telling you that the connection is worth investigating. Also I have found, the people we have deep conflicts with (whether it be our family members, love relationships, challenging friendships, work dynamics), it is likely that we have had other lifetimes with those people. They say that we choose our path before we embody, and the people we choose as our family, our lovers, etc. are people we often need to learn lessons from, and to heal old wounds. We are also given opportunities to shift our decisions and patterns that may be keeping us out of our highest alignment. Perhaps in the "past" we made a choice that was detrimental to self or to another. The idea of "history repeating itself" is real in the sense that we are given opportunity to see a cycle in motion, and choose differently thus breaking the cycle and moving into a new phase of experience. Read my blog to find out more about my experience in the records! Working in the Akashic Records also helped me to clear some deep patterns and belief systems on a DNA level. We have our DNA that we receive from our genetic line, and I believe the other half our genetic information comes from our soul’s journey. The traumas and experiences of our ancestors and that which our soul experiences throughout time gets stored in our genes, our chakras, in our cellular memory and can be released. Through prayers and affirmations, one can deactivate from the DNA negative thought patterns and beliefs, clearing the system of unworthiness, disempowerment, anger, resentment, guilt, shame, blame, etc. We have the capacity to clear the emotions, trauma, experiences from this lifetime and other lifetimes, realms and dimensions. The ability to do so is tremendous, as whether we are aware or not, those experiences and emotions affect us and if not released, can manifest into dis-ease/disharmony. Doing this work has helped me see that we have the power to change our lives on a very deep level and clear old programming and emerge into a new way of being. As my teacher Jodi Lovoi says, “There really isn’t anything that cannot be found and healed within the records.” I have found this to be very true. Through the records we can reconnect to our own soul’s library of information as it connects to the whole of the cosmos to release all old wounds, integrate aspects of self, and all energy that can serve now, returning us to our highest alignment in connection to God/Source.